Have a question for Sam's Lodge Hotel? "The location is perfect it's very close to Asok st. and Sukhumvit st."
"The location is almost great, both BTS and MRT stations are in your reach." "It was great value for money and exactly what you can expect for the price." "Overall, the hotel is value for money especially for whom ta..."
The Sam's Lodge Hotel is in an excellent spot from which to discover Bangkok and its surroundings. The rooms here overlook the city, so you can gaze at the stunning, shimmering city lights. The hotel is close to Jesse and Son Custom Tailors, Ambassador & Smart Fashion, Ravi Sehgal Bespoke, Robinson Sukhumvit, and British Custom Tailors. It has room service, enabling you to order breakfast or lunch straight to your bedside whenever you wish. 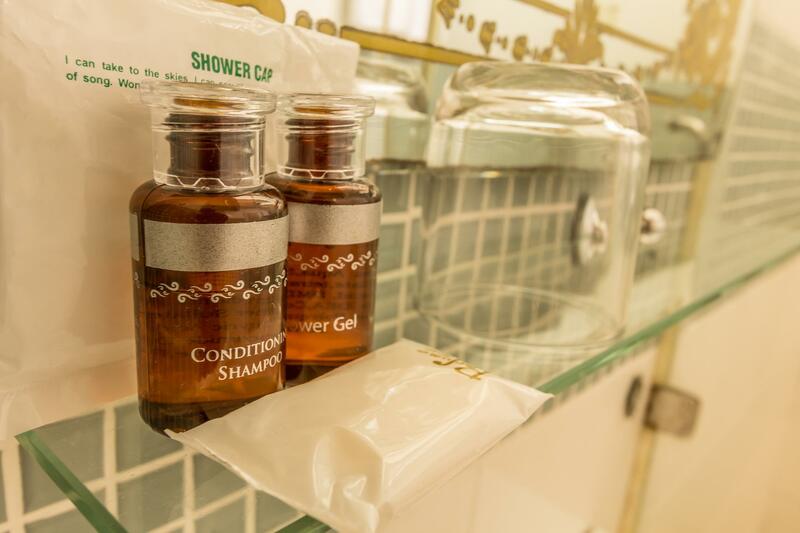 With shops, a convenience store, a smoking area, and safety deposit boxes, the Sam's Lodge Hotel offers numerous convenient features to make your stay more comfortable. If you want to spend your day relaxing and unwinding, you can visit the nearby massage facilities. Offering guided tours, the Sam's Lodge Hotel is a great place to stay to learn about your surroundings and see everything you can while you're here. There's free Wi-Fi available in all rooms, as well as Wi-Fi in common areas, so guests won't have to spend money on buying a local sim card. From laundry services to daily housekeeping, the Sam's Lodge Hotel provides various convenient services for guests to utilize. All of the rooms come with air conditioning, an in-room safe box, an alarm clock, and towels. They are also equipped with a closet, a wake-up service, a fan, satellite or cable channels, and other amenities. The Sam's Lodge Hotel has a front desk that's open around the clock, so there is always someone on call to answer any questions. With pet-friendly facilities, this hotel is great for travelers who want to take their pet on vacation with them. The Sam's Lodge Hotel provides an express check in and check out service, enabling you to avoid waiting in long queues when preparing for your commute home. Sukhumvit MRT Station is 170 m away and Asok BTS Station is 180 m away. The nearest airports are Don Mueang International Airport (DMK) and Suvarnabhumi International Airport (BKK), which are located 20.2 km and 21.3 km away. Check-in is offered from 02:00 PM and check-out is until 12:00 PM. "Strategic location with reasonable price compared to others..."
Weird 1 foot step up and down into & out of the bathroom in my room. Almost had a serious injury coming out of the bathroom because I'm not used to such a steep drop like that's . The owner(s) should be concerned about potential liability regarding this issue. I guess you get what you pay for. Location was awesome . Terminal 21 & Asoke BTS 3 minute walk. The main disappointment was the AC leaked in my room and caused a decent sized puddle . The night desk man came up to the room and was very nice helped clean up the water & placed a bucket under the leak. Next morning talk to a rather nasty front desk lady , who tried to say the leak was caused by having the fan on??? Well I said lets put-on the AC and see what happens & of course it started dripping water on the floor . I said just try and fix or change rooms. I go out for the day around Bangkok come back say the AC was fixed . Want to know how they fixed it ?? They shut it down so it would not turn on at all! I awas tired & did not want too fight anymore just slept with no AC . Also be aware of a 1000 baht cash deposit. Room is small but great location it's okay for just sleep. Room is clean, bed is comfortable, in the room has kettle tea and coffee provided. As it's close to the main busy road don't expect you will get a quiet night! The aircon is mulfunctioning and it blew hot air.the tv is running down,should change a new model.the bed is comfortable though. No significant complaints. Great location. Amazing trip w decent lodging here! The location is good. It's near to Terminal 21, Robinson, 7-11, tops market and Asok BTS. They have daily housekeeping and the place is clean and well maintained. All the 3 receptionists can speak English. They are helpful and friendly. We need to place a 2000 baht deposit which seems quite high. But they refund us when we present our receipt upon check out. Overall, it is a recommended place to stay. I'm glad I only booked for one night...terrible place. Dirty, very small (only a single bed could fit) junk in the hallways. Had a good stay, staff & management are great, & helpful with any issues... a special thanks to Nat at reception & Paul (owner)! 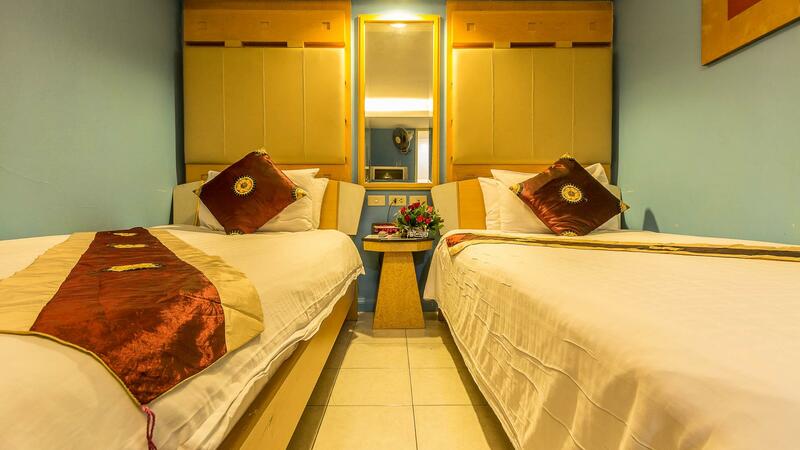 Rooms have most needs including a coffee maker, in-room safe & comfy beds. A short walk to Terminal 21 & Soi Cowboy, but 10 mins walk to Nana Plaza. Lift was temporarily out of order while they were waiting for a part so I had some extra exercise going up & down the stairs several times a day, otherwise I will stay here again! I stayed few times in this hotel, the only reason is the location where the hotel is centrally located - very near to Asoke BTS station and walking distance to Sukhumvit MRT station. Terminal 21 is less than 3 minutes walking distance. 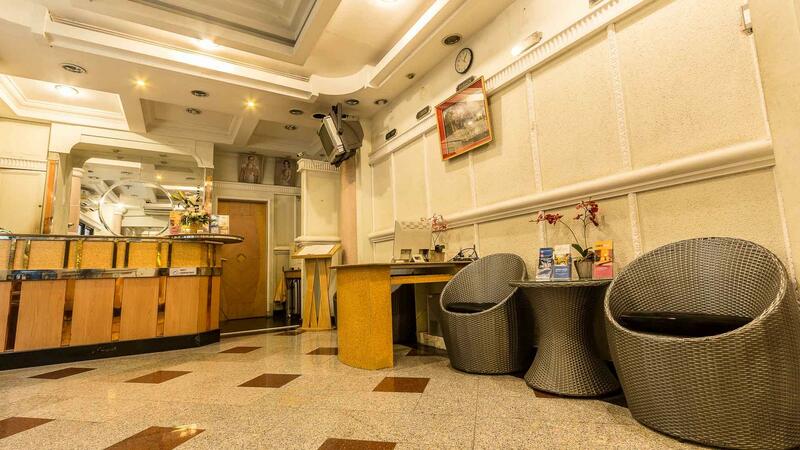 The venue is close to the main commercial and touristic attractions of the city centre. The rooms are generally clean and well maintained. They are provided with cable TV, refrigerator, air conditioner, water heater in the bathroom. The place is well connected to the main transportation services, particularly the Skytrain (BTS Asoke). Room too small, cant even open my luggage. TV and channel not working, complained but technician not able to rectify. Not worth the money spent. Many choices of better and cheaper hotel nearby 50m. if you wish for a shorter time then you can get to this place everything is just walking distance. Single room so tiny nowhere to put a suitcase. There was never any hot water. I paid more to move to a double room,the fan in this room did not work, the staff said they knew about this and said they might fix it, never did. The a/c was sometimes too cold, no adjustment only on or off. We LOVED Sam's Lodge. It was great value for money and exactly what you can expect for the price. Incredibly friendly staff and fabulous location. It was a quick 2 minute walk to the Metro and SkyTrain stations, so very easy to get around. It is right next to Terminal 21 which is a huge shopping mall and there are loads of different restaurants around.